We also deal in providing a huge assortment of Printed Circuit Board Connector (10 Pin) . Procured from quality approved manufacturers, our quality analysts reassure that these products are in compliance with the international standards so that we are able to provide our clients with products of impeccable quality. Mfg. 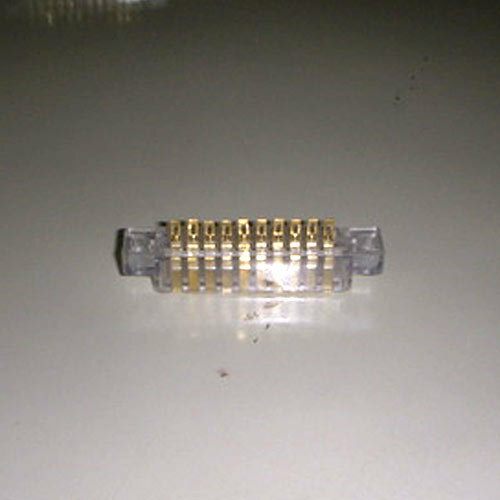 Card edge connectors(6pins to 56pins double and single sided;gold and tin plated;approved by OEMs), harp connectors(11,25,33pins male/female in gold and tin plating), round shell connectors. We undertake custom built job for connectors, electronic hardware,sheet metal work, developing moulds for various sheet metal components. Spring washers.